Should Your New Omaha Business Use QuickBooks? - AF Bookkeeping Services Inc - Dedicated. Accountability. Experience. Although choosing software to keep your books may initially seem like a somewhat minor decision, the reason it has a much bigger impact is your accounting and bookkeeping practices will directly impact the decisions you make about your Omaha business. If your books are incorrect or outdated, you won’t be able to make as informed of a decision about the future of your business. Now that we’ve established why accounting software is an important consideration for a new business, the question you need to answer is which software product is right for your business. Out of the different options that are available, the one AF Bookkeeping Services most commonly recommends to small and medium businesses is QuickBooks. The first reason to use QuickBooks is it will save you a significant amount of time. Since time is something that new businesses never have enough of, having a proven way to free some up is very useful. The second very compelling reason to use this software is how easy it makes report customization and generation. By using this software, you’ll always be able to keep a pulse on how your business is actually doing. Third, QuickBooks is an affordable piece of software for businesses of any size. The fourth reason is QuickBooks will expand with your business as it grows. So instead of getting invested in a piece of software and then having to switch, you’ll be able to stick with QuickBooks. Fifth, using a software product that has a history of more than two decades means you can be confident that all of the important financial information for your business will be safe and secure. Finally, QuickBooks offers features like credit card processing, online bill pay and other useful integrations that can help you run your business as efficiently as possible. QuickBooks is a very powerful piece of software. That means it does have a little bit of a learning curve. Additionally, getting the most out of QuickBooks requires setting it up correctly. If you want to be sure that your QuickBooks setup is properly optimized from the beginning, AF Bookkeeping Services can help you. 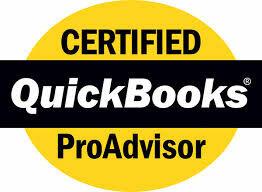 One of the services we provide to small and medium businesses in Omaha is setting up a QuickBooks installation. Taking advantage of this service will make it easy for your business to reap all the benefits that QuickBooks has to offer. And if you need any additional help with this software, we also provide advising services. You can speak with us directly about our setup service by calling our office at (402) 934-9414.